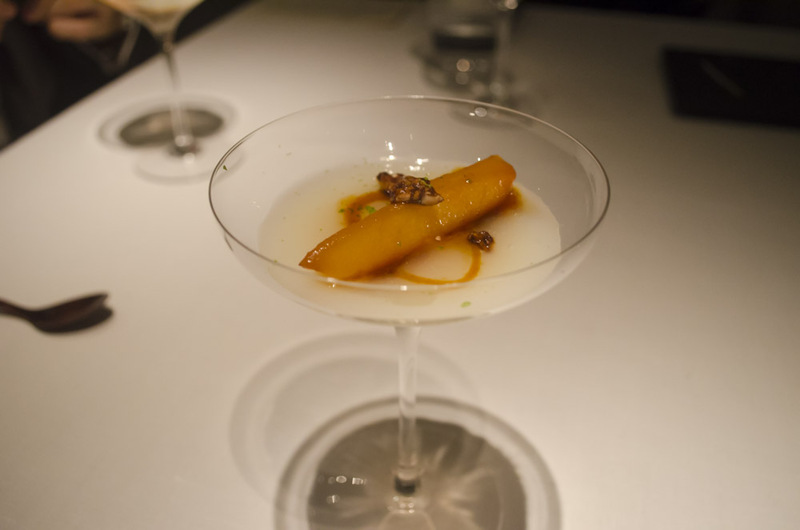 If you are fine dining foodie, then you probably have heard of Narisawa in Tokyo. 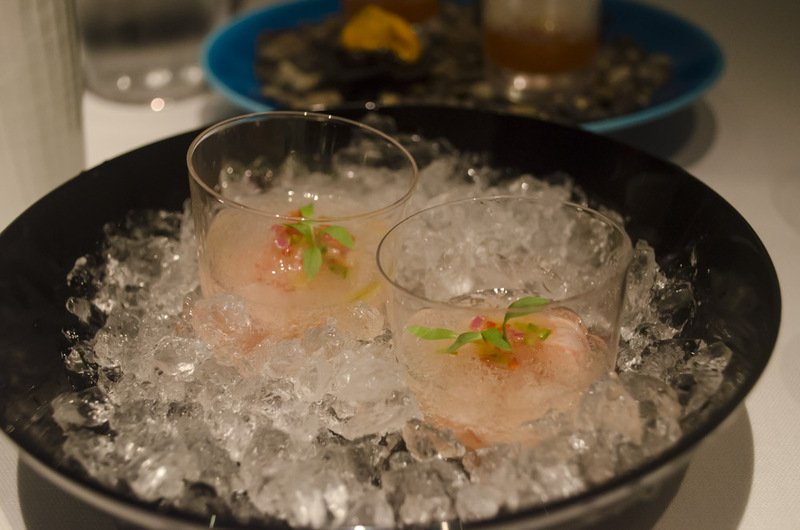 Consistently ranking in top restaurant lists, Narisawa is a must for visiting gourmets. So naturally, we wanted to visit for a long time. In fact, had Narisawa been able to accommodate a party of 10, we probably would’ve hosted our wedding reception dinner there. 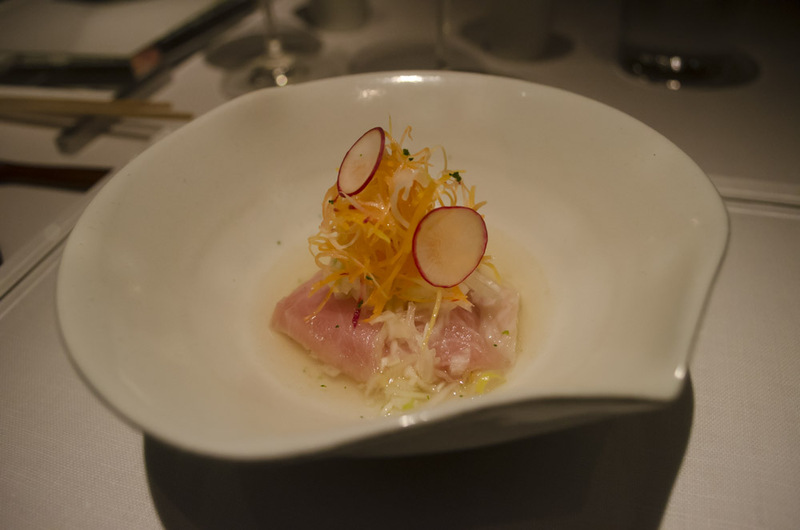 Since that didn’t happen, my husband booked Narisawa Tokyo for the four-year anniversary of our first date. Narisawa is a world-renowned two Michelin star restaurant that combines innovative gastronomy with a sustainable philosophy. 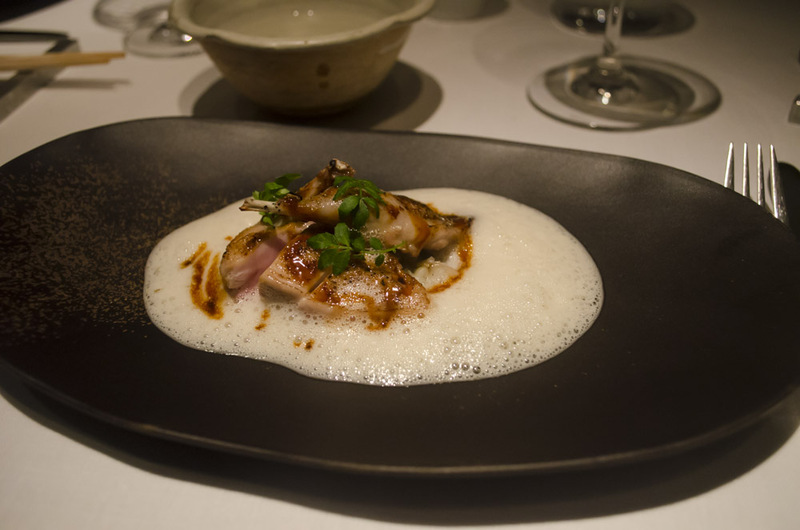 The restaurant is consistently named one of the World’s 50 Best Restaurants, and Chef Yoshihiro Narisawa has often been called one of the best in Asia. 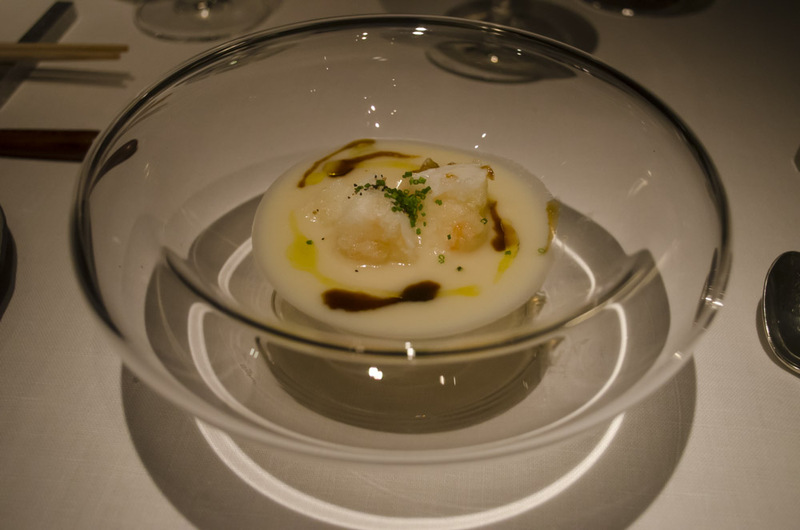 Prior to opening his restaurant in current 2003 (named Les Créations de Narisawa and featured more French cuisine at the time), Chef Narisawa worked abroad in Europe, studying under masters like Paul Bocuse and Joël Robuchon. He returned to Japan in 1996 and opened La Napoule in Kanagawa Prefecture. 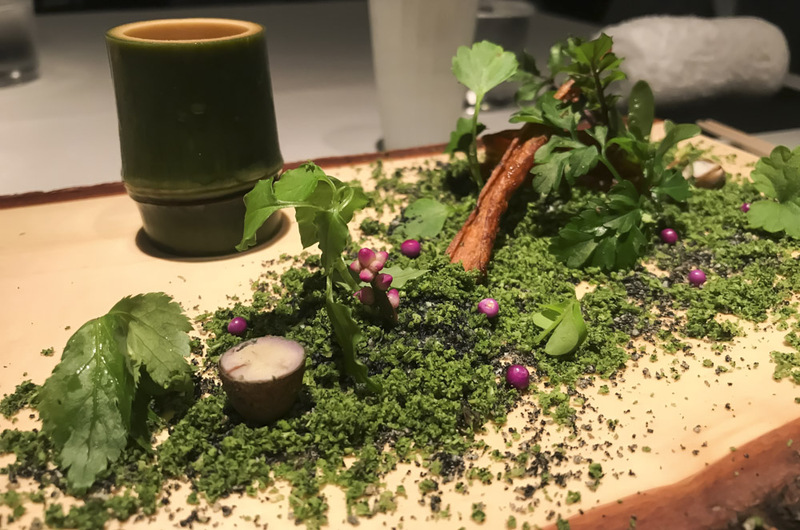 Today at Narisawa, he looks to connect people with nature. 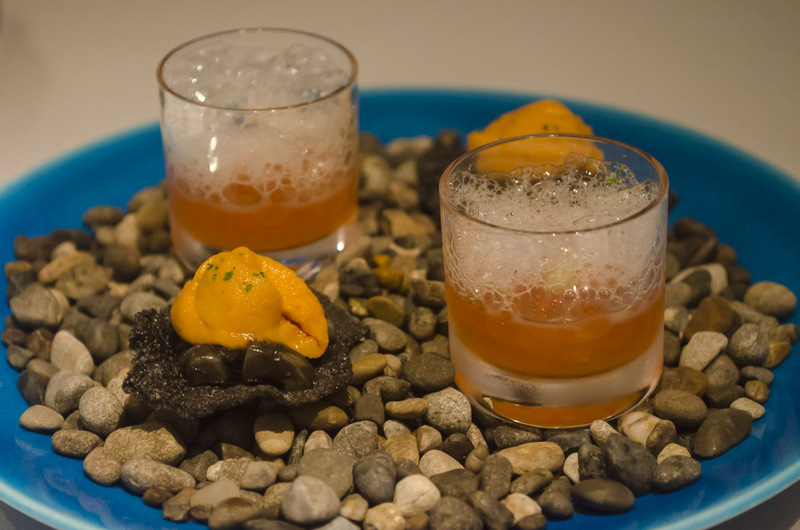 Chef Narisawa creates dishes that represent Japanese society and the societal and environmental issues like global warming and the mass departure of young people from the countryside. 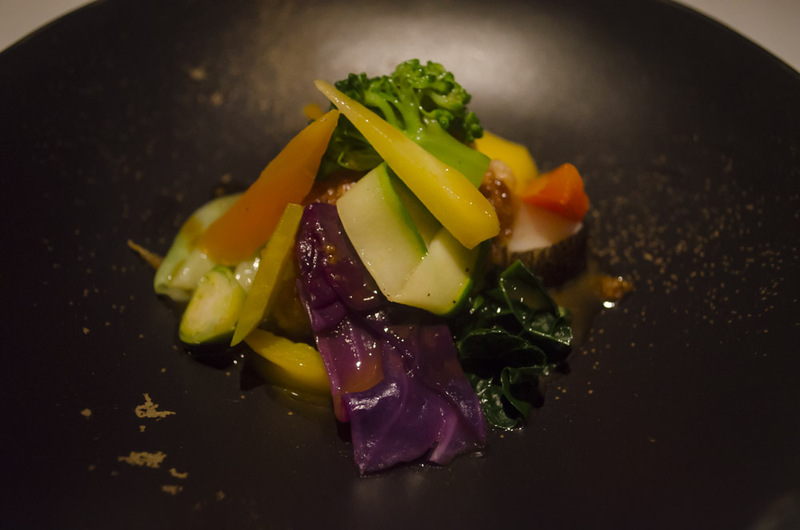 Inspired by the coexistence of nature and people, Narisawa serves innovative satoyama (mountain village) cuisine. Ingredients are locally sourced and many are organic. 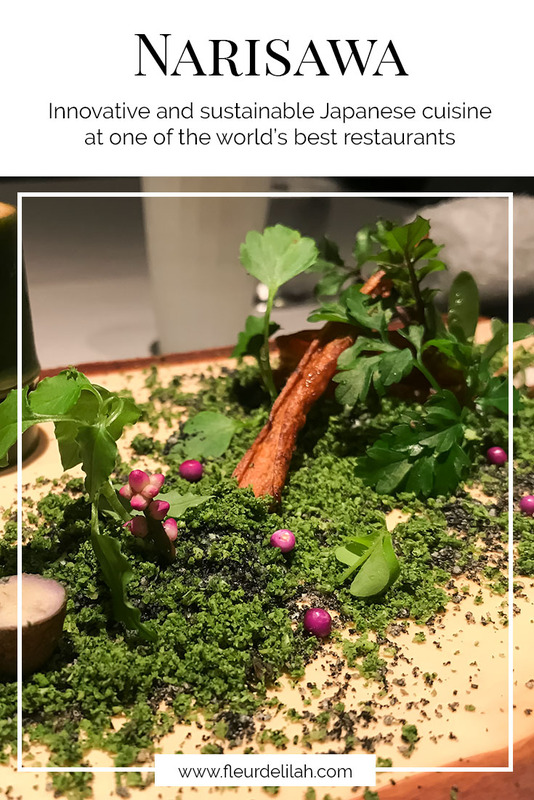 The restaurant serves one menu for lunch (JPY 27,000) and one menu for dinner (JPY32,400), which changes seasonally to feature the ingredients at their best and the rich biodiversity of the region. Here, you can also try some of Japan’s best wine and sake. Our favorite was a Juuji Asahi sake that tasted like chocolate. The presentation is astounding. 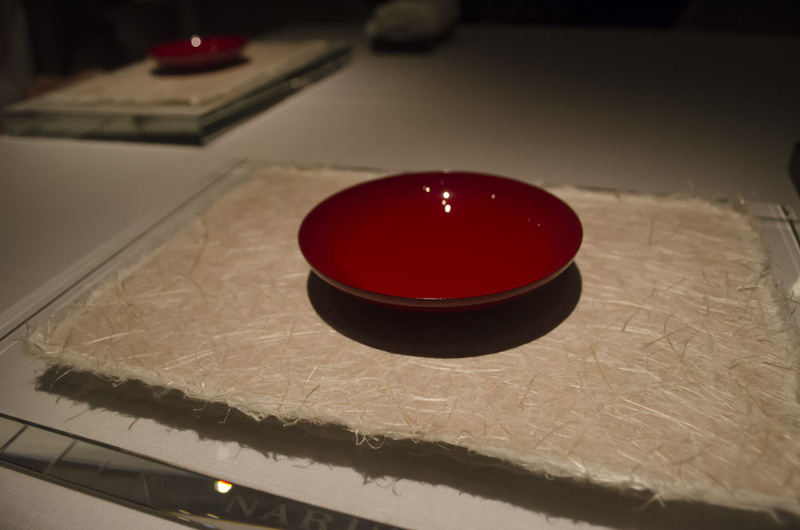 Keeping in mind the environment, Chef Narisawa plates the dishes to highlight the natural beauty of the food. Standout dishes include the Bread of the Forest and Satoyama Scenery. The Bread of the Forest is made in front of you on the table and is served with butter that appears to be covered in moss. Satoyama Scenery looks like a mythical forest and features a host of ingredients such as green tea powder, carbonized bamboo, and fried vegetable chips. Narisawa is open for lunch between 12:00 and 15:00 (L.O. 13:00) and dinner from 18:30 (L.O. 20:00). The restaurant is closed on Sundays and Mondays (check the calendar on the website for specifics). Reservations for the following month open at 10:00 on the first business day of the previous month. The restaurant’s popularity in the food world means it is often booked up well in advance, so you are best making a reservation as early as possible. While no dress code is provided, the restaurant is a formal place.